Are you covering the cost of running your buses? SchoolPass works with schools across the country to implement daily bus capacity management, parent self-service scheduling tools and real-time reporting. These enhancements allow you to recover more of your bus cost while improving the experience for staff, parents and students. 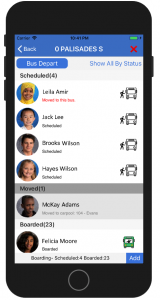 Our solution tracks all of the seats on your buses and makes this information available via an easy-to-use mobile app, so that parents can make real-time schedule changes for their students, i.e. 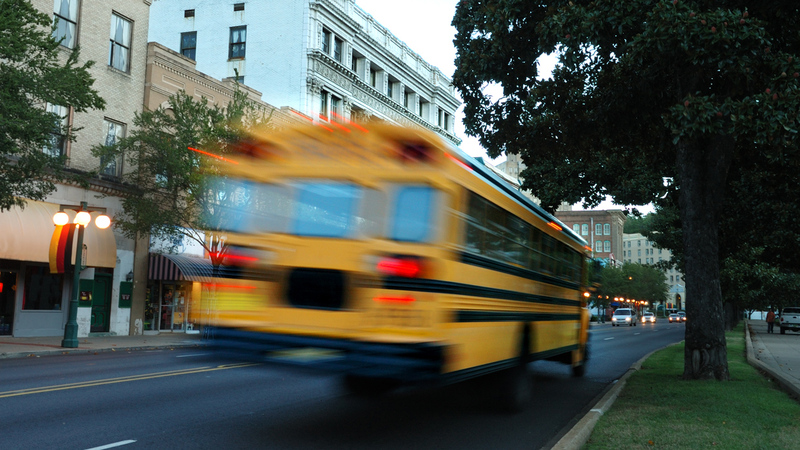 putting students on or taking students off of a bus, based on school managed ridership rules. These changes are automatically communicated to the transportation staff, front office, and teachers and updates the bus manifests. Therefore, you have real-time information about bus utilization, enhancing student safety, boosting revenue and improving overall parent experience. Here is an example of the SchoolPass mobile app where staff or drivers can check students on or off buses, and can send departure notifications to parents. Not only will you be able to recover more of your bus management cost, but you will be able to provide better service to your parents, students and staff.